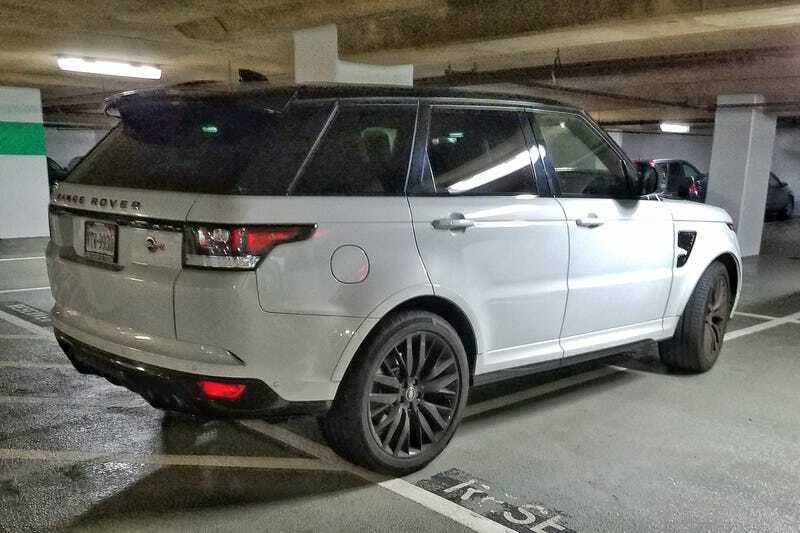 When I posted a while back about a blue Range Rover Sport SVR in my office parking garage, I didn’t realize it was parked in two reserved spaces. Turns out, it’s not even the only Range Rover Sport SVR at my office that parks in two reserved spaces. Not only are both of these Rover Sport SVRs often parked in two reserved spaces, they’re parked in the same company’s reserved spaces. Here’s the blue one again, parked in two reserved spaces of course.